Drew has over 13 years of insurance experience offering strategies for financial and insurance professionals individual, family, and business clients. His experience in the areas of business and individual protection, wealth transfer, impaired risk, and complex case design make him a valuable asset to our team. Drew’s background and experience allow him to assist clients in protecting their assets and businesses or efficiently transfer wealth utilizing insurance solutions. Drew works closely with our brokers and their clients providing assistance and guidance in the areas of: Estate Planning Case Design, Business Planning Case Design, Life Insurance Product Selection, Life Insurance Policy Audit Solutions, Life Insurance Practice Management Support, and Field Underwriting Guidance & Support. 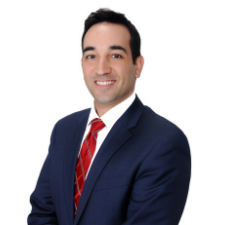 Drew has his Bachelor of Science and Certified Professional Sales Specialist degrees from The University of Connecticut. He has both his life and health licenses as well as FINRA registration series 6 and 63. Drew lives in West Hartford, CT with his wife and son.